1 Volleyball Training Manual This manual is designed to help UCAA Volleyball Coaches teach proper skills that are being taught at the collegiate & Olympic levels. It contains basic skill explanation and the drills associated to help development. 3 Serving Drills 1. Progressive Serving a. EXPLAINED: Everyone has a partner and one ball. Each partner stands at the 10 ft line across the net from each other. They serve back and forth to each other. After they get 5 serves each, they take 2 steps back. This continues until they are at the end line. b. FOCUS ON: Form. Worry less about outcomes (especially when starting out) and focus on good technique. c. COMPETITION: You can make this game like by having the first teams to get 5 serves in a row at each station (10 ft, 15 ft, 20 ft etc ) 2. Serve Chase a. EXPLAINED: Everyone starts on the end line on one side of the net and has a ball. They serve the ball and chase it to the other side. This is a great warm up drill. b. FOCUS ON: Form. Worry less about outcomes (especially when starting out) and focus on good technique. c. COMPETITION: You can make this game like by having individuals get a specific amount of serves over the net (ie. 10 serves over the net wins the competition, 5 in row, etc ). 3. Around the World a. EXPLAINED: Separate into two teams. Each team lines up on the opposite end line from each other, ready to serve. They select one person to sit on the opposite side and try to catch one of their teammates serves without moving from a sitting position. If a ball is caught, the person who served takes the seated person s place. b. FOCUS ON: Tossing, stepping, and swinging to target. The direction in which they swing will determine where the ball goes. c. COMPETITION: The best way to play is to have a person seated, starting in Zone 1 (see diagram below). 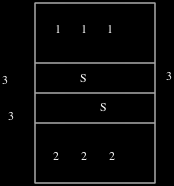 Once a ball is caught, the server will now take the place of the catcher and move to the next zone (Zone 2). First team to catch a serve in all 6 zones wins! 6 Spiking Drills 1. You go, I throw a. EXPLAINED: Form hitting lines on each side of the net. A coach will be standing at the net and ready to toss a ball. Have a player start their approach and then the coach will toss the ball on the player s 2 nd or 3 rd step so they can focus on their technique. b. FOCUS ON: Technique. Focus on their footwork, then their arm work, and then finally their bow & arrow. c. COMPETITION: You can make this game like by having the first person to do the correct form 5 times in a row or 10 times total. After players have mastered their technique, you can move towards having a chair as a target on the floor. First person to hit the chair wins! 2. I throw, you go a. EXPLAINED: Form hitting lines on each side of the net. A coach will be standing at the net and ready to toss a ball. Have the coach toss a ball and then have a player do their approach to time and hit the ball. b. FOCUS ON: Technique and Timing. Players need to be able to do their footwork, arm work, and bow & arrow while trying to time the ball in the air. c. COMPETITION: You can make this game like by having the first person to do the correct form 5 times in a row or 10 times total. After players have mastered their technique, you can move towards having a chair as a target on the floor. First person to hit the chair wins! 3. Stephenson s (Spike Lines w/ Setters) a. EXPLAINED: Every player has a ball and forms hitting lines on each side of the net. A setter will be standing at the net. 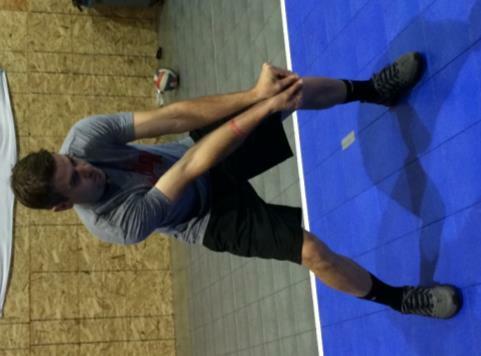 The first player in the hitting line will toss the ball to the setter. The setter will catch the ball and toss it back to the player. The player will pass the ball and then begin to take their approach while the setter sets the ball to them. b. FOCUS ON: Technique, timing, & passing. Players need to adjust to the set to be able to contact the ball with proper form. c. COMPETITION: You can make this game like by having the first person to do the correct form 5 times in a row or 10 times total. After players have mastered their technique, you can move towards having a chair as a target on the floor. First person to hit the chair wins! 12 Small Group / Warm-up Games 1 st Time Coach tosses or hits to receiving team Receiving team must pass, set, hit on the 1 st time to score a point and get out If receiving team doesn t pass set hit on the 1 st time they can t get a point. The coach will continue to enter balls until they do If a rally occurs play it out, but it s a bonus rally. Once scoring team pass, sets, hits they will wave under the net Scoring Side 4 s Bounce 1 Make even teams if 3 or 4. Two teams are playing the others are shagging. Start with a serve. After rally ends bounce a ball to the serving team. The serving team must send a free ball over the net. 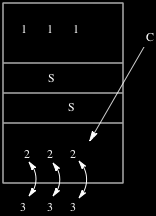 If the receiving wins the serve and free ball they capture the serve. If not, same server serves again. Play to five points (every serve and bounce is a point) At the end of the game the winning team stays and the shagging team has 5 seconds to get on and serve. Play games to 5 points. Every time a team wins the game to 5 points they get a BIG point. Play games to as many BIG pints as you want. 5 is usually good.